This post is the 12th in a series of brief profiles of people who will be presenting their work at VOICES, a first-of-its-kind online conference on using music to teach STEM, on Sept. 27-28, 2017. 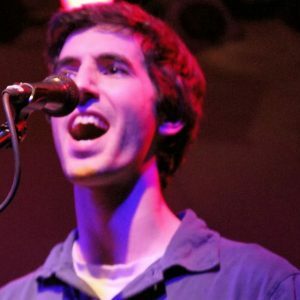 As a high school student, Avi Silber wrote and performed his own science-themed songs and raps. These days, as a biology and technology teacher at Northwest High School in Maryland, he advises a phenomenal after-school science songwriting club described in his VOICES abstract, which is as follows. It has been a little over 4 years since 4SW was founded at Northwest High School in Germantown Maryland. Since then, the club has produced over 30 music videos, and more than 60 songs. At this point, club members are capable of consistently producing music videos in a single afternoon session. Their works have earned them invitations to the White House (the old one), the National Aquarium, the MAEOE Conference in Baltimore, and numerous film festivals. This workshop will delve briefly into the story of how 4SW was founded. Then we will go into an in-depth description of how we produce our science music videos. The final part of this workshop will be devoted to explaining the process for starting a club like 4SW. We are hoping to create a broader community of science songwriting clubs, and the best way is to teach others how we started. Here, we will also explain the various hurdles that we had to overcome in growing the club’s skill sets, membership numbers, identity, and healthy culture. We are also prepared to share our fundraising techniques as well as our experiences with outreach. The 4SW’s activities include “Challenge Thursdays” in which they write and record a STEM music video in a single day. Here is a recent example. Avi is one of over 40 people who will present their ideas, insights, and investigations at VOICES. To have full access to all presenters and their presentations, please register for the conference. It’s only $10!